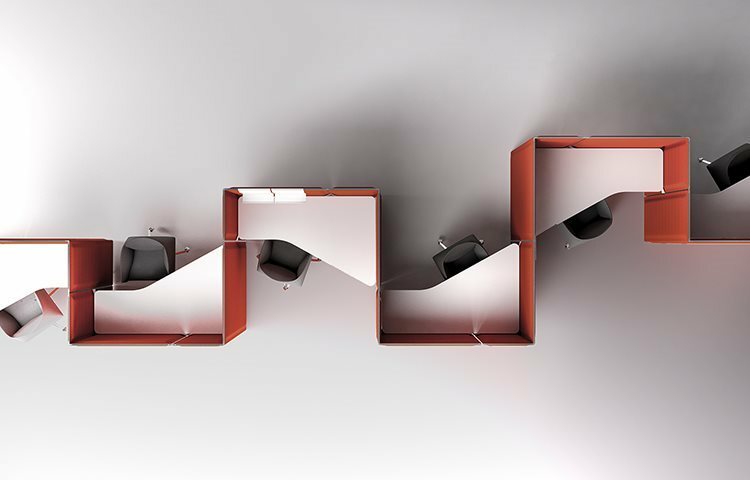 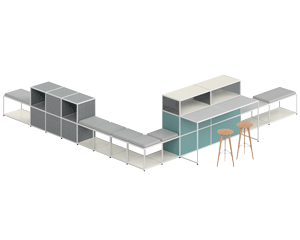 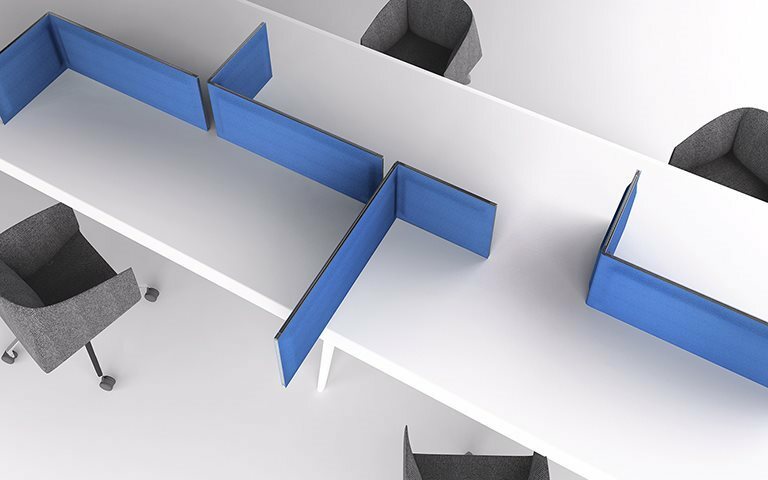 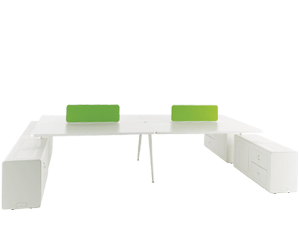 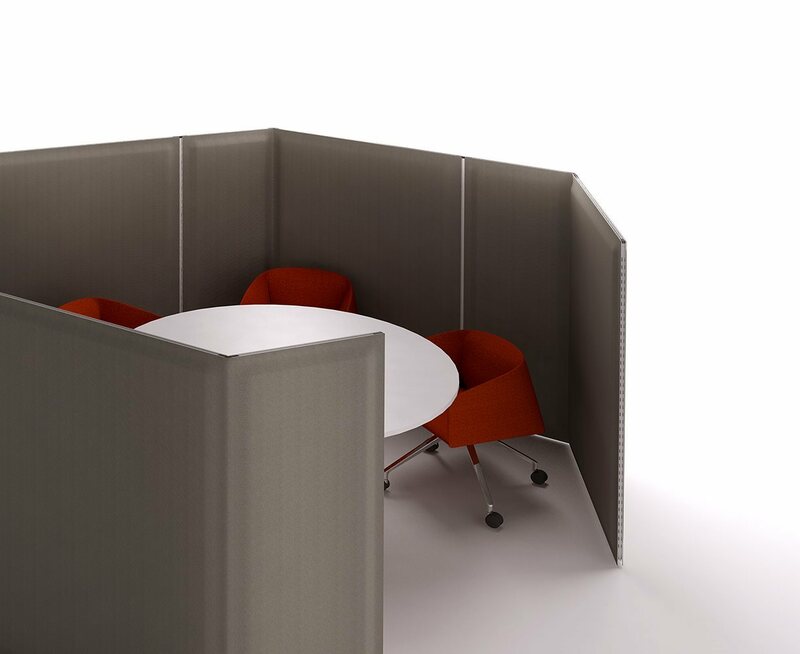 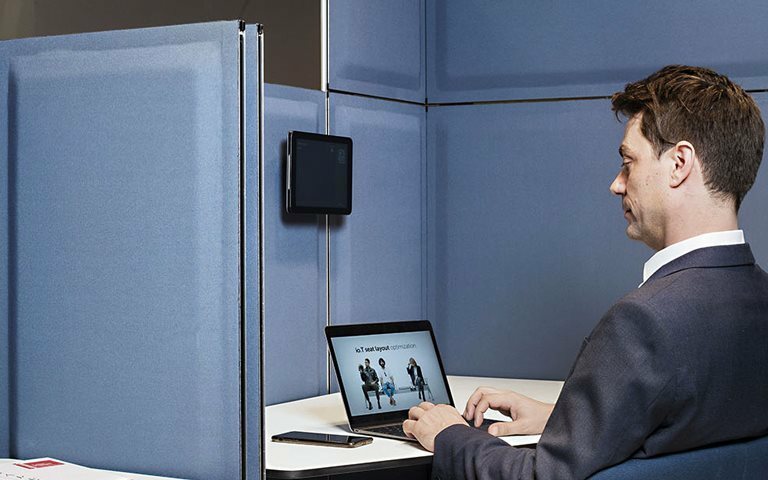 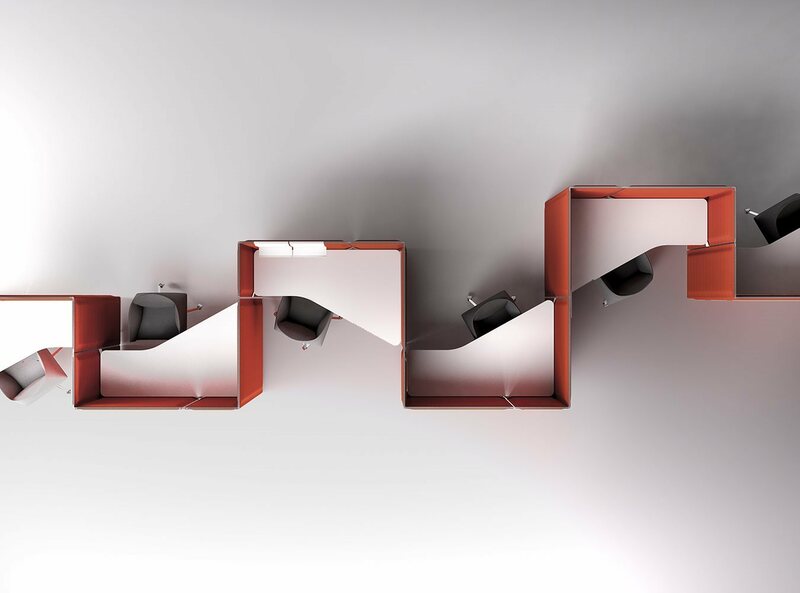 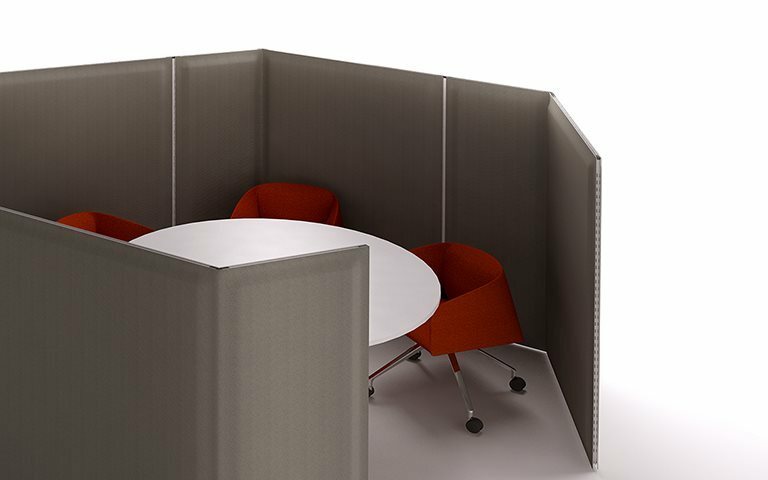 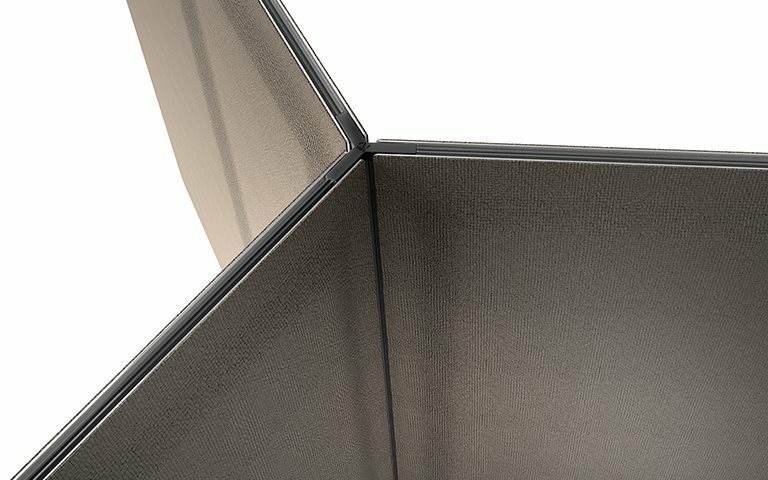 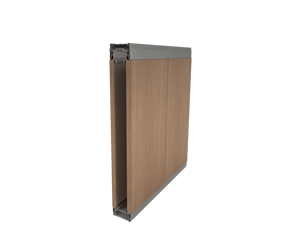 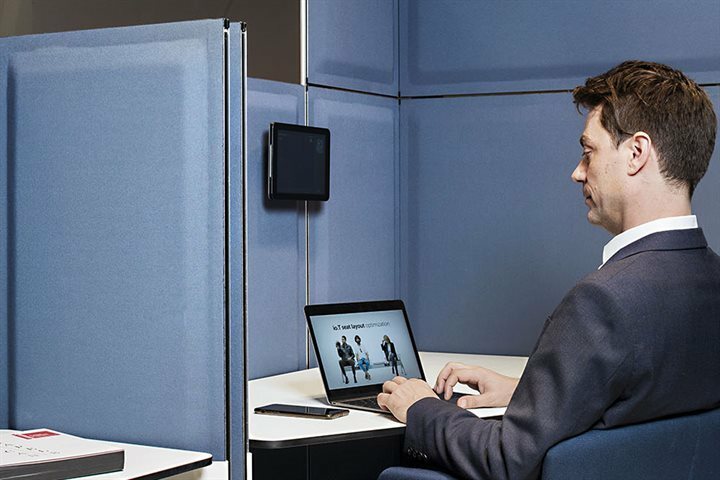 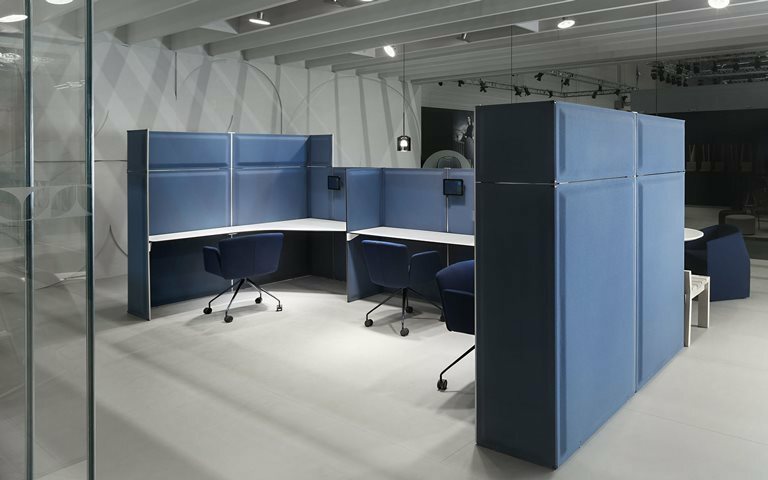 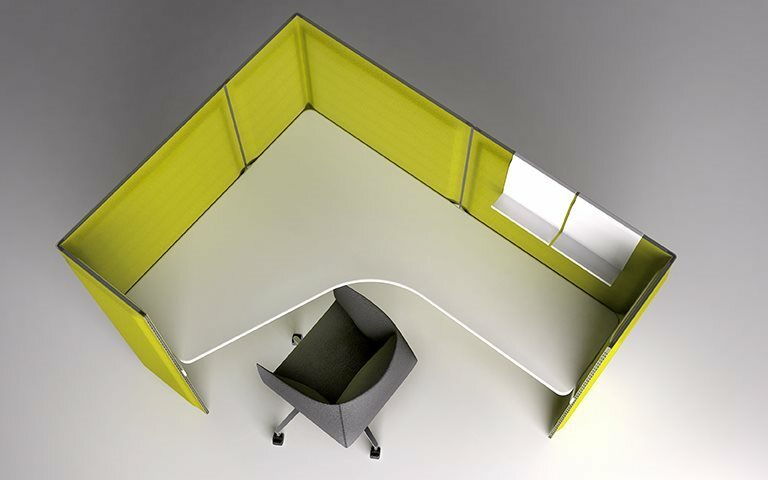 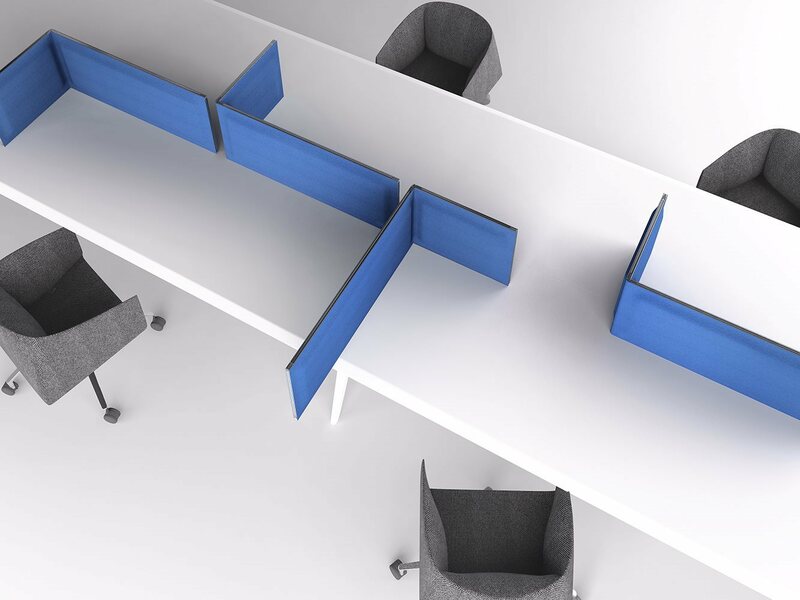 Multy is an innovative partition wall system for dividing and structuring spaces, for creating visual privacy and reducing acoustic impact in offices and work spaces in general. 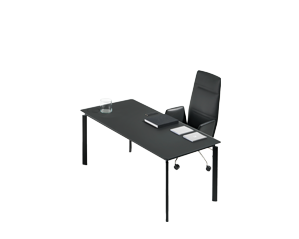 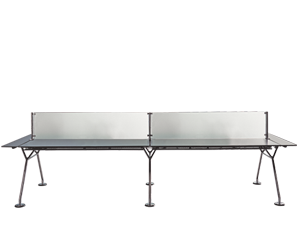 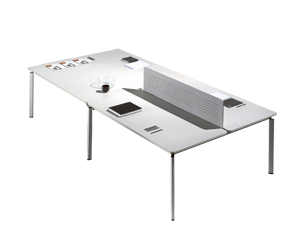 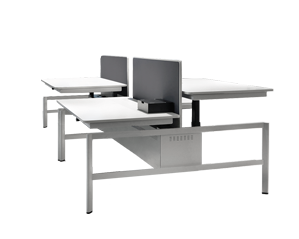 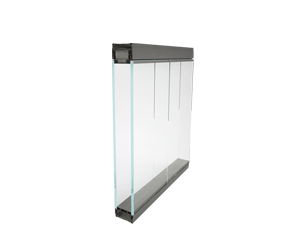 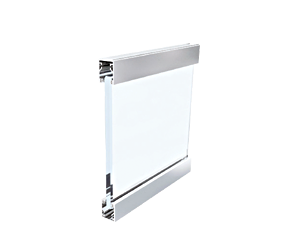 The system comprises a panel which can be configured, combined with others and equipped using a simple, intuitive system. 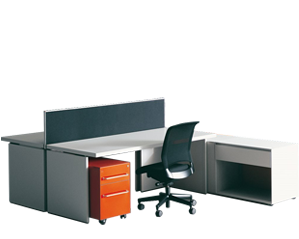 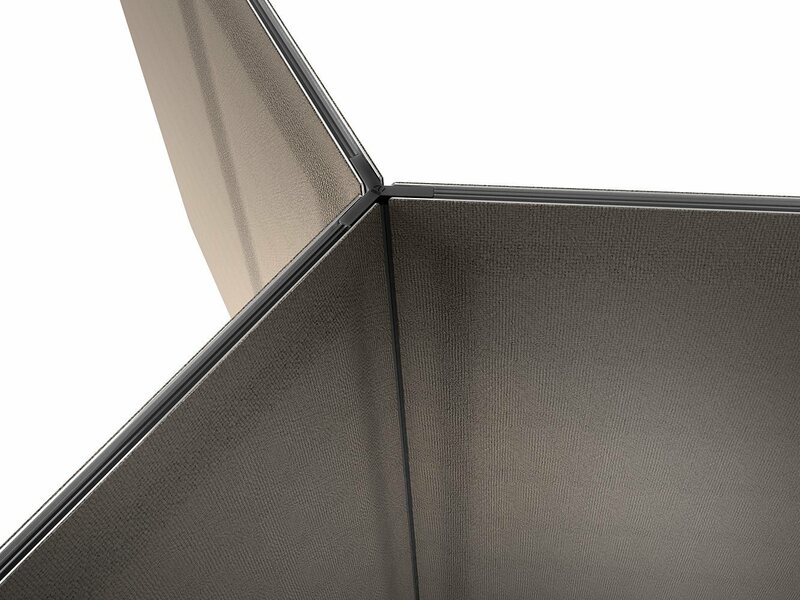 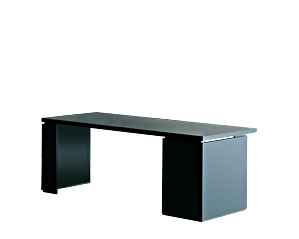 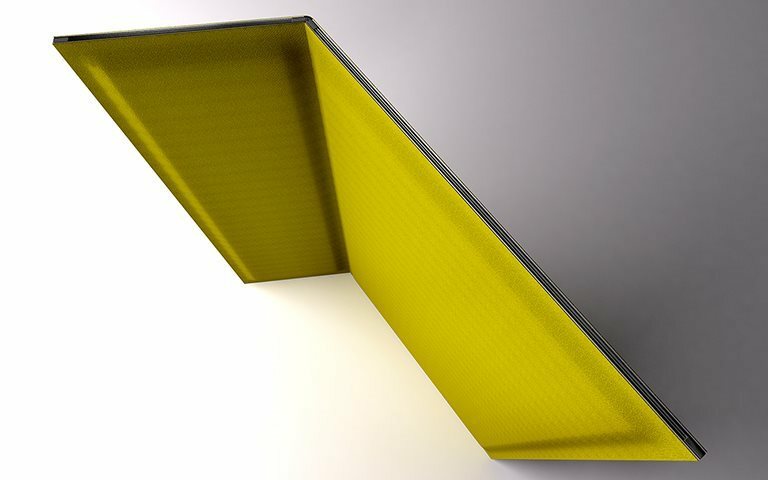 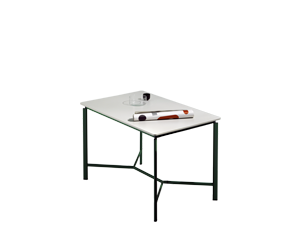 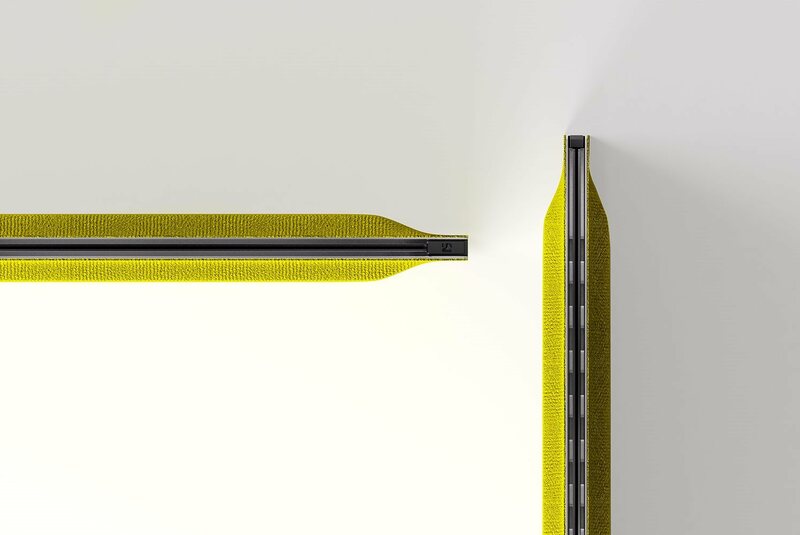 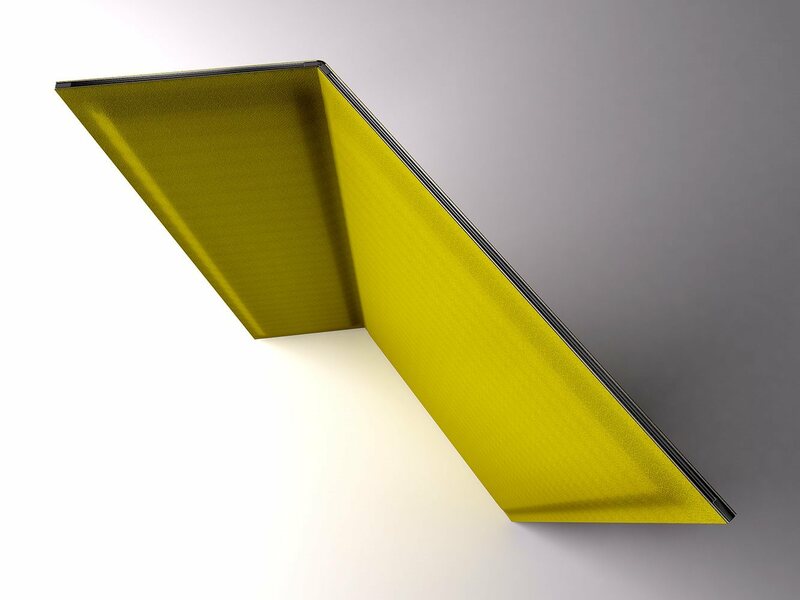 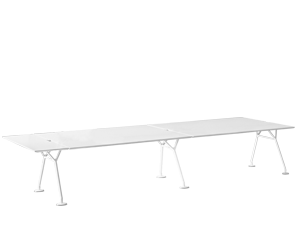 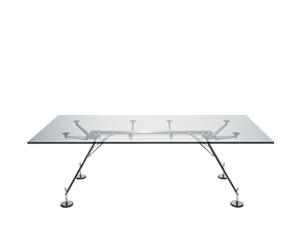 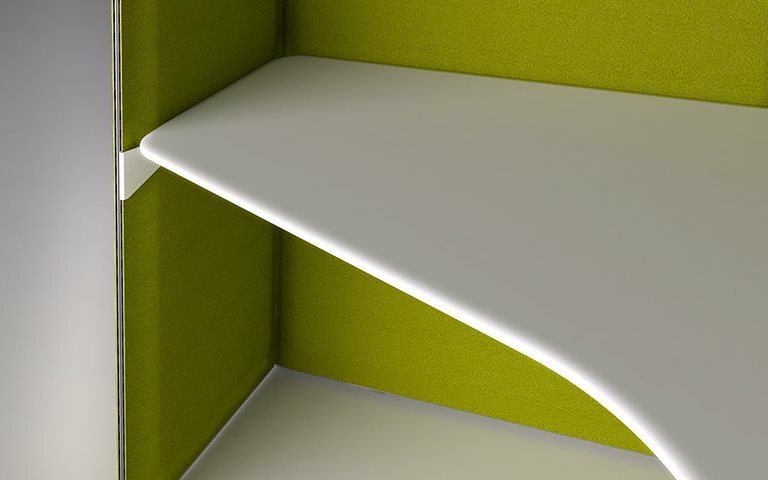 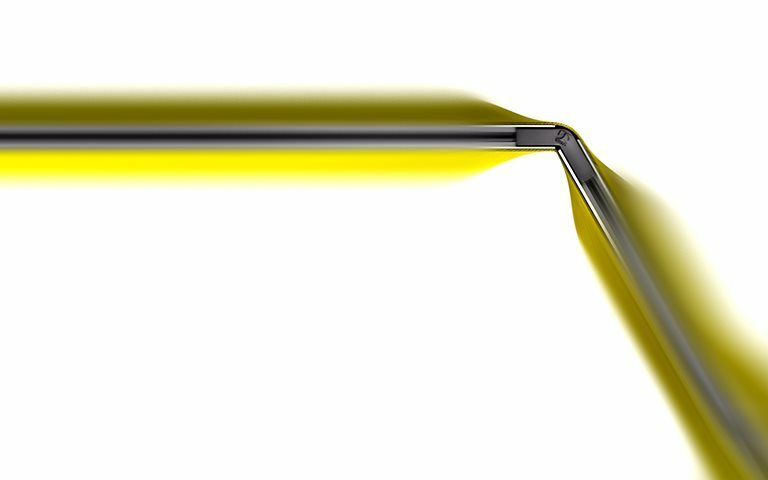 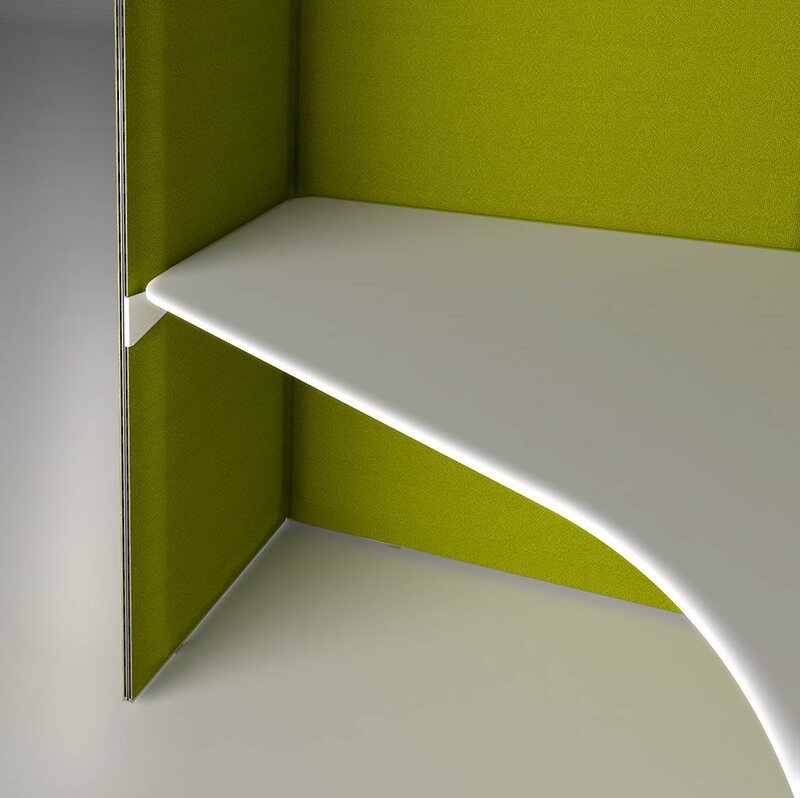 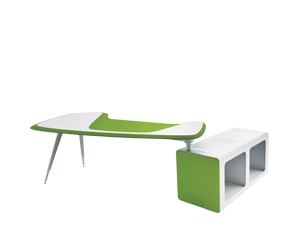 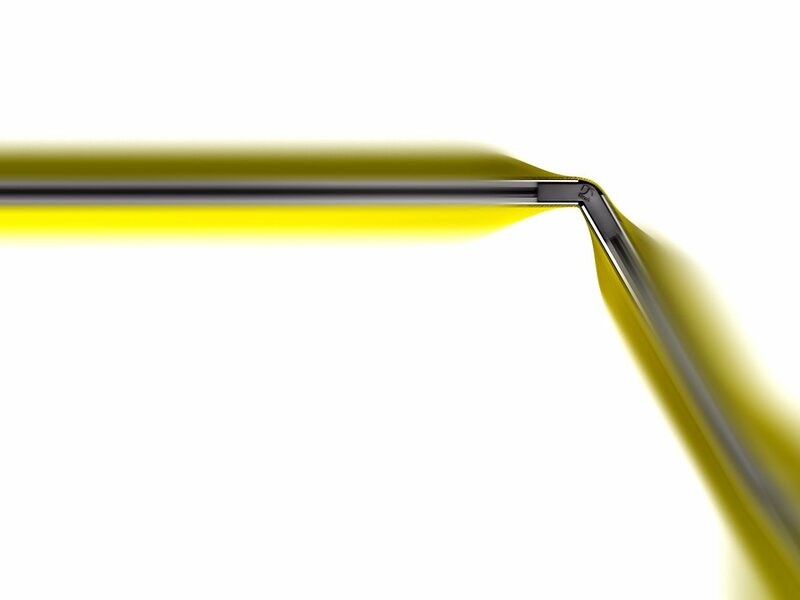 The panel, consisting of two external shells in polyester fibre produced with hot press moulding technology, is equipped with an integrated perimetral structure in anodized aluminium housing snap-fit connections that allow the system to be equipped with work surfaces of different shapes and sizes, as well as shelves and accessories. 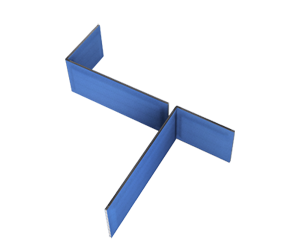 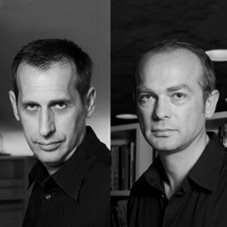 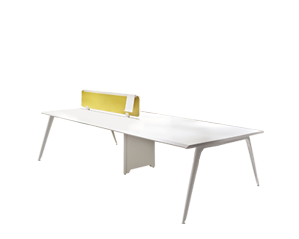 The system features a vertical ball joint that allows the panel to flex, creating different geometric solutions: 180° linear, 120° corner and 90°perpendicular configurations. 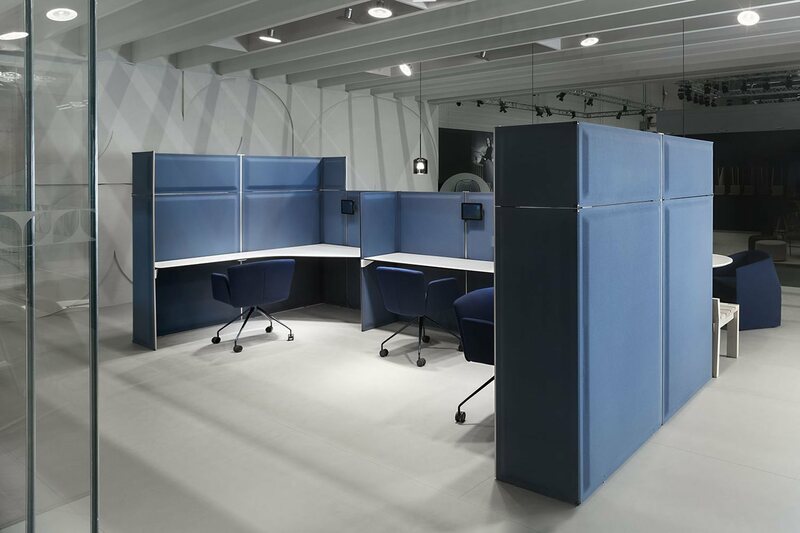 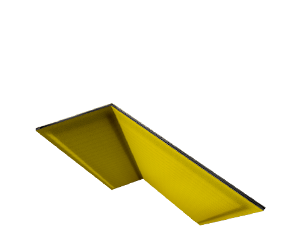 Multy system has been tested with regard to sound absorption obtaining “sound absorption class A” in compliance with UNI EN ISO 11654. 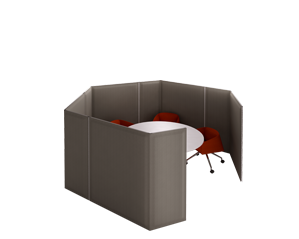 Multy has also been tested with regards to acoustic insulation obstaining a noise reduction of 20 dB in compliance with UNI EN ISO 717.